A ground fault circuit interrupter (GFCI) is one of the most common residential, commercial, and industrial safety devices. The most common types are single-phase electrical outlets used in households near water sources, such as in kitchens, bathrooms, and outdoor receptacles. 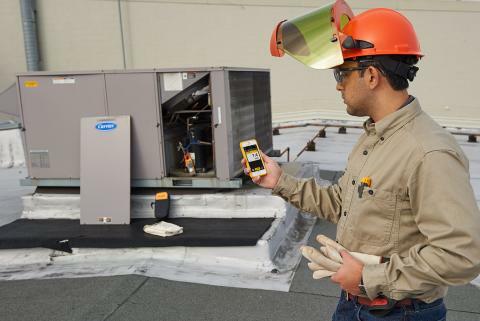 Most states have required GFCIs in certain areas of residential installations for decades. However, NFPA 79, the Electrical Standard for Industrial Machinery, also dictates their use in industrial applications. GFCIs are designed to prevent bodily harm from electrical faults that could cause electricity to flow through you to ground. It quickly disconnects the current flowing through an unintended ground path even if the amount of current is too small to trip a typical circuit breaker. Although fuses and circuit breakers are also protective devices, they are designed to protect equipment and facilities from short circuits and large magnitude electrical faults that could cause electrical fires and property damage. The actuating energy for standard breakers and fuses far exceeds the lethal amount, but most GFCIs trip at around 6 mA. A GFCI uses a current transformer to detect the difference between the line current supplied to the load and the neutral current returning from the load. Ideally, this difference should be zero because both currents cancel. 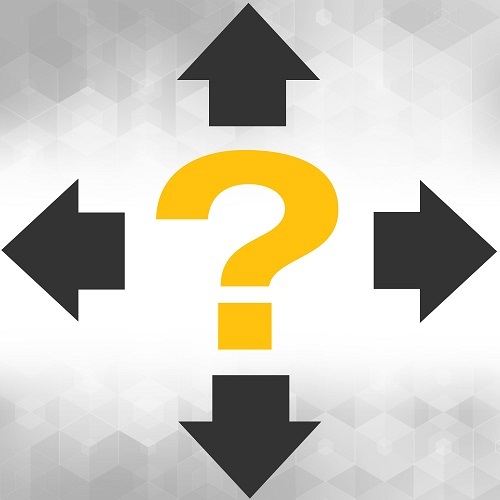 If there is a current differential, it becomes the input to a comparator within the GFCI, which changes states when the differential is around 6 mA. When the comparator changes states, it triggers a silicon-controlled rectifier, which disconnects the power from the output of the GFCI. GFCIs should be checked monthly by operating the pushbuttons on the front labeled "Test" and "Reset." In addition to checking for proper operation, monthly testing exercises the mechanical components of the receptacle. Simple GFCI testers are available for less than $15 or for less than $150 a high-quality industrial electrical tester can check for energized circuits, test ac and dc voltages, resistance, continuity, phase rotation between any two phases, and GFCIs. When a GFCI trips, there must be a reason. Instead of just resetting the GFCI, you also must investigate the cause of the trip. Ground faults occur when electrical current finds an unintended path to ground. The usual suspects for ground-faults include worn insulation, conductive dusts, water, or other "soft grounds." Ground faults account for more than 80% of equipment short circuits and in 90% of those cases it is caused by insulation deterioration on wires and cables. If a human becomes the unintended path, current as low as 75 mA can trigger ventricular fibrillation (i.e., when the heart stops pumping, leads to cardiac arrest). Another name for a ground fault is leakage current. Although wiring insulation is designed to keep electricity in the conductor, all insulators have some conductivity. While not perfect, even air can be an insulator. Insulation conducts current through both electrically resistive and capacitive paths. If insulation is old or damaged its resistance is lower and leakage current could become substantial. The insulation protecting longer conductors has higher capacitance, which can cause even more leakage current. On GFCI-protected circuits, leakage current can cause unnecessary and intermittent tripping. When troubleshooting these intermittent "ghost" trips, sometimes looking for the leakage current culprit can be costly. When many pieces of equipment are operating on a circuit, the leakage current is cumulative and could be in the order of milliamps. Adding more equipment to a GFCI-protected circuit could trip the GFCI randomly, making the problem difficult to diagnose. Start by measuring the leakage current and then identifying the source. 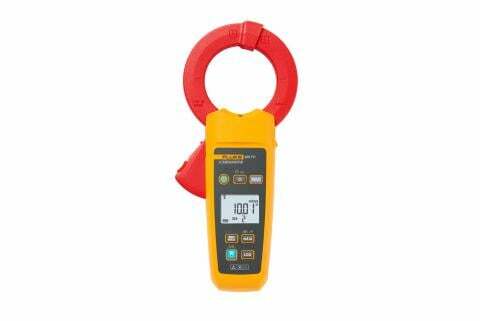 Use a leakage current clamp meter to make these measurements. 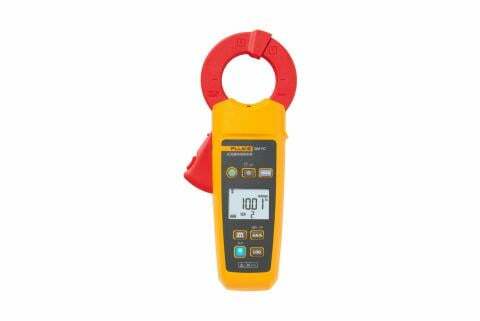 Leakage current clamp meters are like clamp meters used for measuring load currents; however, leakage current clamp meters perform much better when measuring current below 5 mA. Test single-phase circuits by clamping the phase and neutral conductors. Test three-phase circuits by clamping around all phase conductors. If a neutral is present, clamp it too. The measured value will be any current flowing to ground. 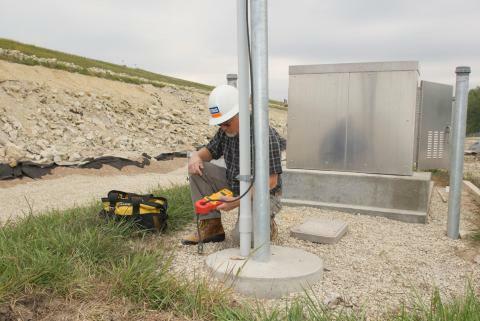 To measure the total leakage flowing to the intended ground connection, place the clamp around the ground conductor. Measure the leakage current on each leg of the circuit to identify which one has considerably more leakage than the others. If one leg has a suspiciously high leakage current, ensure that the equipment is operating properly. Remember that surge suppression filters and capacitors on the power input of some electronic equipment can increase the overall circuit capacitance, which can increase leakage current. Determine loaded circuit leg leakage with the equipment "on"—switching the equipment "off" allows you to determine just the circuit wiring leakage. If equipment on all legs is operating properly and the wiring is acceptable, it could be that the cumulative leakage current due to electronic equipment input filtering is just high enough to trigger the random GFCI trips. In this case, consider redistributing the loading on each circuit leg or adding circuits to provide more capacity.